ADATA Technology, a leading manufacturer of high-performance DRAM modules and NAND Flash application products, today announced the launch of the SH14. The company is touting the super-tough exterior of the SH14, and is again targeting the on-the-go crowd whose active lifestyles call for shockproof performance. The new SH14 offers a new approach to shock-resistant designs, combining a modern style and a SuperSpeed USB 3.0 interface with military grade shockproof and water-resistant construction. The result is a fashionable break from the cold and monotonous outer form often seen in drives of this class. The SH14 drive exterior is constructed of a unique silicone material, providing a smooth surface texture that is seldom seen in external drives. The military specification shock-resistant structure, coupled with water-resistant and impact-damping silicone shell, create a formidable line of defense important data. Users need not worry about data loss from accidental drops or spills, which can cause irreparable damage in conventional storage devices. The curved grid pattern of the drive body demonstrates an elegance and charm of modern technology, making the SH14 suitable for use by both active and trendy consumer groups. Millenniata, a new optical disc company, ushered in a new era of information storage with the release of its M-DISC and M-READY disc storage technology—technology that permanently etches data onto the write layer of the disc for use anytime and for generations to come without any data loss. The company also announced a manufacturing and marketing partnership with Hitachi-LG Data Storage, Inc. to manufacture Millenniata compatible (M-DISC compatible) DVD drives and market them through its sales channels. 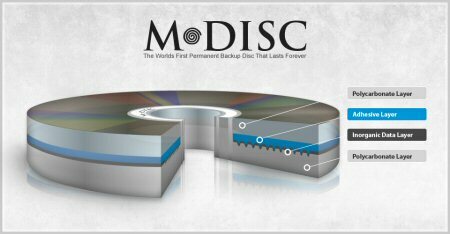 Whether for music, photos, videos, genealogical records, business records, data loss prevention, permanent file backup, medical imaging, government or archive, M-DISC provides long-lasting storage by literally etching data into a rock-like material. The M-DISC will not degrade over time and is usable on a daily basis. Under the partnership, Hitachi-LG Data Storage, Inc. will manufacture M-READY DVD drives and market and sell them to its U.S. and international retail channels under its DVD brands. All M-DISC compatible aftermarket drives will include the M-DISC logo indicating compatibility to write to M-DISCs. Any DVD drive will read the M-DISC. 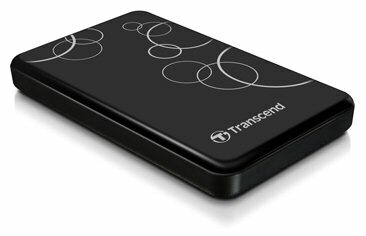 Transcend Information, Inc., a worldwide leader in storage and multimedia products, today released a new addition to its StoreJet line of portable hard drives, the StoreJet 25A. This new drive boasts an attractively slender yet shock-resistant design, and is available in both SuperSpeed USB 3.0 and USB 2.0 versions. Featuring strikingly fast data transfer speeds, powerful software tools and up to a full terabyte of storage capacity, the StoreJet 25A is ideal for everyday backup, storage, and transport. The StoreJet 25A3 portable hard drive is equipped with a next-generation SuperSpeed USB 3.0 connection interface that provides 10 times the bandwidth of USB 2.0. Thanks to the improved connection speed of USB 3.0, the StoreJet 25A3 delivers real-world transfer speeds of up to 90MB/s – fast enough to transfer a full DVD in just 50 seconds. If ultimate transfer speed is not absolutely essential, the StoreJet 25A2 USB 2.0 version of the drive offers the same eye-catching design and features at an attractive price. Samsung Electronics Co., Ltd, a global leader in advanced semiconductor technology solutions, announced today volume production of SSDs (solid state drives) that support the Serial ATA Revision 3.0 interface with data transmissions at six gigabits per second (6Gb/s). The new high-performance PM830 SSDs are available at up to 512 gigabyte (GB) densities. Samsung's new high-speed SSDs are ideally suited for use in high-performance OEM notebooks and tablets. Sample production of the SATA 6Gb/s 512GB SSDs began in May, with volume production initiated earlier this month. 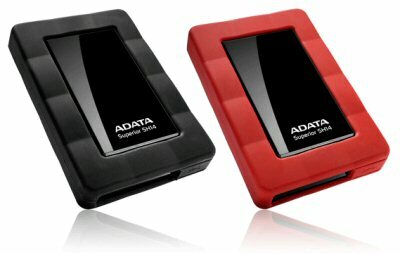 The new drives are expected to replace SATA 3Gb/s-based SSDs by year-end. 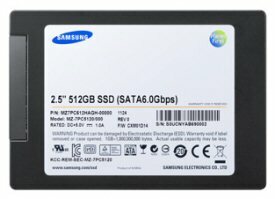 “Samsung’s new line up of advanced SSDs will raise the performance bar to the next level for ultra-slim notebooks and tablets and accelerate growth of the market for high-performance SSDs,” said Wanhoon Hong, executive vice president, memory sales & marketing, Device Solutions, Samsung Electronics. “The industry is expected to quickly embrace SATA 6Gb/s-based SSDs, which also will help increase market interest in 256GB and higher densities significantly,” he added. Leading memory storage brand, Silicon Power, today announces the launch of the D05 external portable hard drive. Made in urban and business styles, it delivers a smooth and seamless elegance. D05 adopts the super-speed USB 3.0 interface and provides an ultra-high capacity of 1TB. With the up to date SP Widget back up and security tool, customers can enjoy safer and more efficient data mobility! D05, continues Diamond series in their delicate design and exterior the solid and scratch resistant case by metallic grain surface embosses the diamond mark. The pocket-sized and easy for carry design is indeed the priority choice for urban and business people. D05 is equipped with new USB 3.0 interface and 1TB storage capacity. It takes only 70 seconds to transfer and store a 25GB blu-ray DVD. The massive 1TB storage capacity can store up to 200 full-length DVD movies. Regardless of the file size, its transmission rate and capacity will satisfy every customer’s needs.